The Foreign Office said it was "concerned to hear of an attack on two British nationals" and was "providing consular assistance". 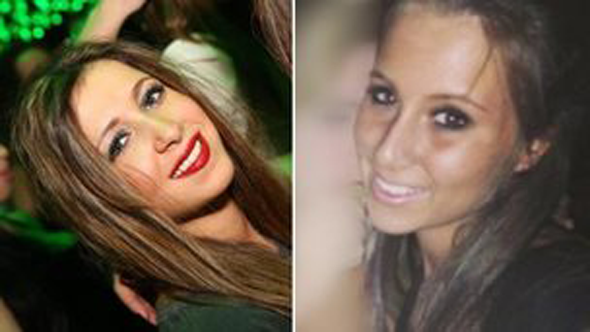 The women's mothers said in a statement: "Both families are extremely upset and distressed at this completely unprovoked attack on their lovely daughters who had only gone to Zanzibar with good intention. We understand that they will be flying home overnight. "We appreciate all the interest and support we have received from the media but we would ask that we are left alone until we have been reunited with our daughters." Nicky Gee told Sky News her daughter's whole face and body had been burned by acid in the attack. Police said two men on a moped threw the acid at the women, splashing their faces, chests and hands as they walked through the streets of Stone Town, the old part of the island's capital Zanzibar City, which is a Unesco world heritage site. Deputy police commissioner Mkadam Khamis told AFP news agency: "The motive for the attack on the volunteers aged 18 years, has not been established. Investigations are on until we apprehend the criminals." The two women were volunteers for the charity Art in Tanzania, having booked through the company i-to-i Travel. Kari Korhonen runs Art in Tanzania with two other directors. He told the BBC in an email the "ladies are OK considering the seriousness of this type of case". He added: "We have been operating as NGO some 10 years and this is the first serious incident." He said he found out about the incident immediately after it took place and that the charity was "sorting out the incident background with the British High Commission and the Tanzanian-Zanzibar government". Another of Art In Tanzania's representatives in Zanzibar said the two women had been volunteering with the organisation for just over two weeks. He said they had been on their way to dinner when they were attacked. In a statement, i-to-i Travel said: "All our efforts remain focussed on ensuring they are supported whilst assisting them and their relatives with the arrangements for their return home." It added that "the motive for the incident is as yet not known". The women were in the final week of their trip, i-to-i Travel said. 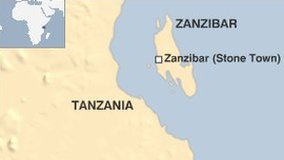 The police on Zanzibar said it was the first time foreigners had been attacked in this way. The BBC's Tulanana Bohela in Dar es Salaam says Islam is the main religion on Zanzibar and in more remote parts of the island, away from tourist beaches, there are signs asking foreigners to respect the local culture and cover up - in case skimpy outfits upset villagers. However, most islanders depend on tourism for their livelihoods and are happy to see tourists and there is little antagonism towards them, she says. Tanzania's minister of information, tourism, culture and sports, Said Ali Mbarouk, condemned the attack. "We should co-operate with other government sectors to ensure that the perpetrators are arrested and brought to justice," he said. "And I beg our nationals, this is not something they should be doing. Tourism is the strongest pillar of our economy, so if we do such acts we are killing our economy, and our livelihoods in general. "So it is not an honourable thing to do, it's a bad thing and it should be condemned by all citizens of Zanzibar." The Foreign Office's travel advice for the semi-autonomous Zanzibar is the same as that for the rest of Tanzania. The Foreign Office says that while the majority of 75,000 British nationals have "trouble free" visits to Tanzania every year, "violent and armed crime is increasing" and "there is an underlying threat from terrorism". It also says that "mugging, bag snatching (especially from passing cars) and robbery have increased throughout the country" and "in Zanzibar incidents have taken place in Stone Town and on popular tourist beaches". Recent attacks in Zanzibar include an acid attack on a Muslim cleric in November, and the shooting dead of a Catholic priest in February. Another priest was shot and wounded in December. Jeremy Lefroy MP, chairman of the All Party Parliamentary Group on Tanzania, said the country had a "very peaceful tradition" and local police were apparently "as shocked as anybody" by the attack.